The project comprises the construction of a deluxe finishing complex on a plot area of 500 m2. It consists of 13 flats with 170m2 area each. The flats will be sold on a ownership property basis. 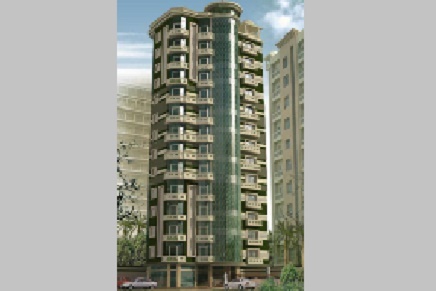 Number of floors is 13 consisting of one basement for car park, ground, and 13 typical floors. The ground floor contains a swimming pool, security desk and reception area.